Business Intelligence application, which supports clinical and resource management in healthcare. On a single platform, it is possible for end-users to obtain near real-time analysis of data collected at the point of care; ALERT® DATA WAREHOUSE provides the ability to improve efficiency, quality of care and patient safety as well as supporting health efforts more effectively. 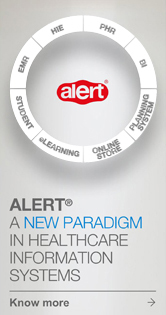 One of the differentiating factors of the ALERT® suite of products is a fully integrated Business Intelligence platform – ALERT® DATA WAREHOUSE – , which is a decision support tool for all levels of management within healthcare facilities. 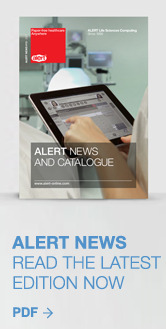 ALERT® DATA WAREHOUSE’s main goal is to operationalize the content repository of the Electronic Medical Record (EMR) in supporting: activity monitoring, evaluation of quality of care, monitoring of epidemics, control of chronic diseases (e.g., diabetes, hypertension) for implementation of proactive initiatives within the public health sector, reporting on activity and quality for healthcare entities and regulators, support for optimization of clinical processes and certification on Quality Standards (e.g. ISO standards). ALERT® DATA WAREHOUSE will evolve to new ways of presenting information, to incorporate analysis of unstructured data (free text), and to implement forecasting capabilities to enhance the capacity to support the increasing complexity of management of healthcare entities, in multi-platform environments such as web-based productivity tools and mobile devices.